With a stay at Tolip Inn Maadi in Cairo (Maadi), you'll be 8.6 mi (13.9 km) from Egyptian Museum and 8.4 mi (13.5 km) from Tahrir Square. This 4-star hotel is 15.2 mi (24.4 km) from Great Sphinx of Giza and 15.2 mi (24.4 km) from Giza Pyramid Complex. 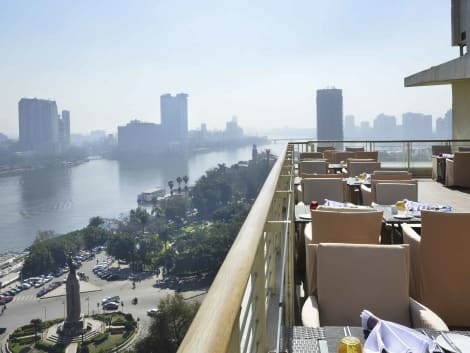 Set on the picturesque and exclusive island of Zamalek on the magnificent waters of the River Nile, the Hilton Cairo Zamalek Residences is located in a tranquil spot between downtown Cairo and Giza and is only 12 miles from Cairo Airport.All of the exquisite guest rooms at this award-winning Cairo hotel offer spectacular city or river views and feature modern amenities such as high-speed internet access and LCD TVs. 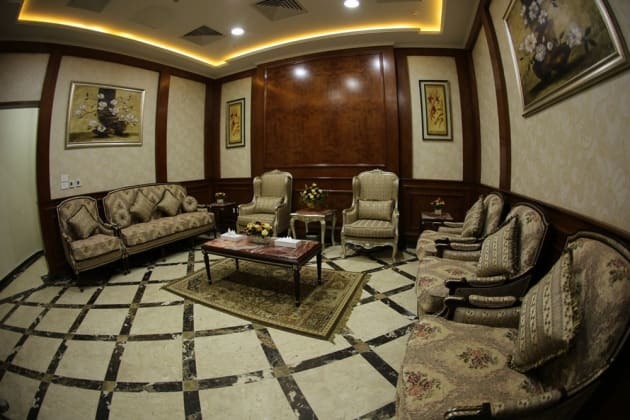 Upgrade to an elegant Suite for additional space, a kitchen, living and dining areas and terraces offering scenic Nile views.Hold a professional meeting in one of three flexible meeting rooms, all of which feature the latest in A/V technology. 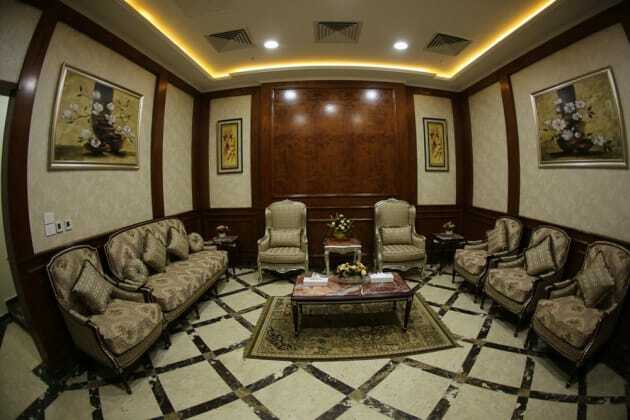 Make use of the business center, offering an array of amenities such as secretarial and photocopying services. Dine on international and local cuisine overlooking the pool and the River Nile at Nile Breeze, listen to live music in the Tea Time Lounge and enjoy casual alfresco food and drink on the deck at The Terrace.Work out in the complimentary Fitness Centre, swim in the temperature-controlled swimming pool, or unwind in the Jacuzzi. Indulge in a massage while the kids have fun in the dedicated children's pool. Explore the Egyptian Museum, experience the exotic sights, sounds and smells of the vibrant Egyptian Bazaar, 'Khan El-Khalili' and marvel at the Great Sphinx and Pyramids at Giza. The lobby is medium in size with a brown wooden reception desk and a seating area opposite it. There are also a few shops and a snack bar. Relax at the full-service spa, where you can enjoy massages, body treatments, and facials. If you're looking for recreational opportunities, you'll find a nightclub, a health club, and an outdoor pool. Additional amenities at this hotel include wireless Internet access (surcharge), concierge services, and gift shops/newsstands. 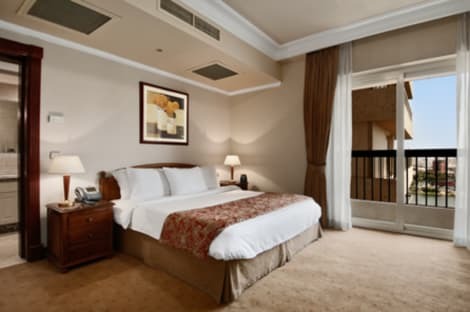 Welcome to Hilton Cairo Heliopolis, an iconic hotel in the presidential quarter just 10 minutes from Cairo's airport and 15 km from city center and the business district.Every guest room offers complimentary WiFi, an HDTV, opening windows, a work desk, mini-bar and options like connecting rooms and nightly turndown service. Upgrade for views overlooking the pool or hotel gardens, or choose a suite for a separate living area with sofa and a second bathroom.Hilton Cairo Heliopolis has an astonishing 15 restaurants and bars with cuisines from all over the world - Lebanese, Thai, Indian, Mexican, French and Mediterranean are just a few. Try our all-day buffet or head outside to the Pizza Bar for light meals and cocktails. In-room dining is available 24 hours.Pamper yourself in our hotel's health and wellness spa. Book a massage in a private treatment room, indulge in a new style in the beauty salon, or relax in our peaceful sauna. Exercise is easy with outdoor tennis and squash courts and our complimentary 24-hour fitness center. Other hotel conveniences include two outdoor pools (one heated), a business center, clothing store, bank, children's playground, car rental desk and airport pickup service.From small meetings to grand receptions, we have the chic and high-tech function space that's perfect for every occasion. Host a conference in our amphitheater or plan a wedding reception in an elegant ballroom - our dedicated bridal suites add a special touch to the day. Make yourself at home in one of the 313 air-conditioned rooms featuring minibars and LCD televisions. Complimentary wireless Internet access keeps you connected, and satellite programming is available for your entertainment. Bathrooms have bathtubs or showers and hair dryers. Conveniences include phones, as well as safes and desks.